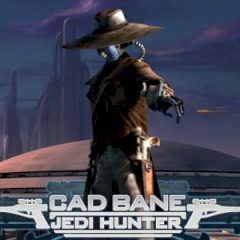 Cad Bane is the deadliest bounty hunter in the galaxy, but he needs to practice his skills to remain the best! Pay attention on the details and find all hiding stormtroopers. Kill them using your gun and get as many points as you can! When Cad Bane receives a contract you better stay away from his targets! He won't spare anyone who will protect them or be near at the time when he come after them. Take a blaster and kills as many stormtroopers as you can. Shoot accurately and reload your weapon when you run out of charges. Switch between guns to kill more troopers and increase the amount of points!